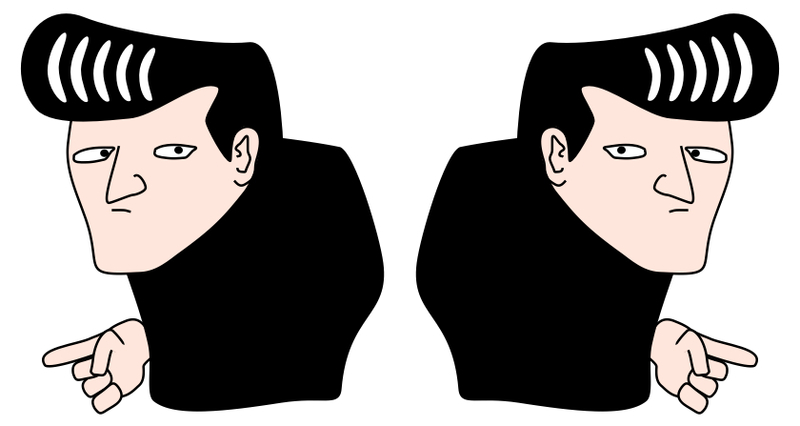 "To see or not to see"
The left face appears to gaze at the observer, while the right one, just the mirror image of the left one, appears to see the left side of the observer. "Expansion and contraction of clouds #2"
Newly born black clouds appear to expand for a short time while newly born white clouds appear to contract. My speculation is that white part is perceived earlier occupying a wider area than it is and the brain corrects the position of the white/black border after black part is processed. 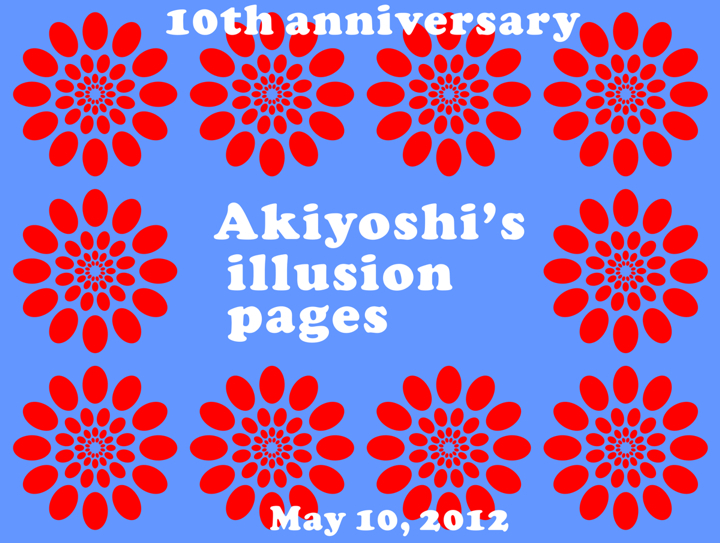 "Expansion and contraction of clouds"
The upper two clouds appear to expand while the lower two appear to contract. 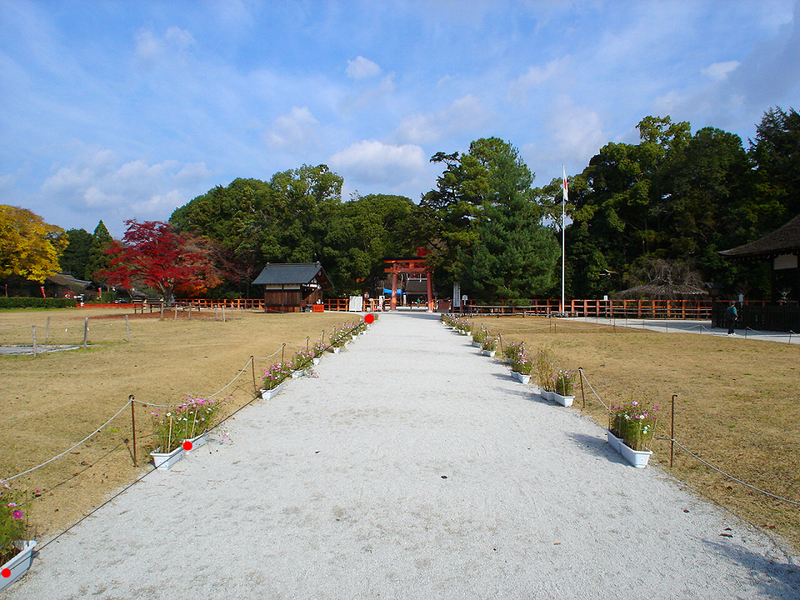 The white clouds appear to be larger than the black one (irradiation), though they are the same size. 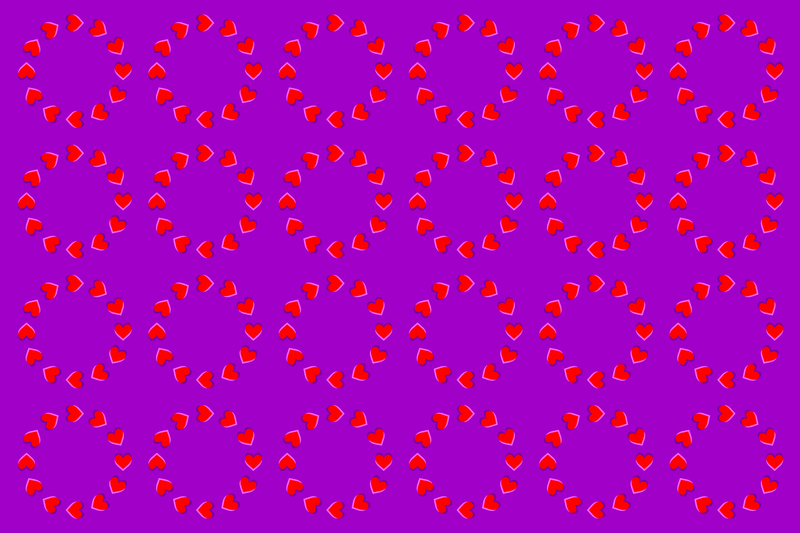 "Illusory rotation-dependent eye direction illusion"
Rings of hearts appear to rotate clockwise for protanopes. 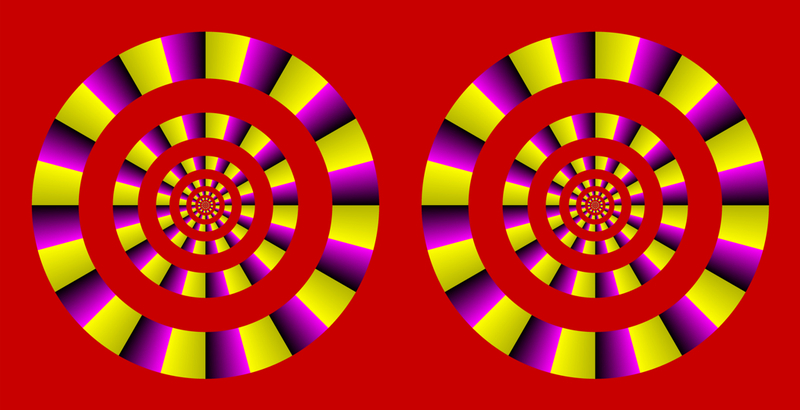 They appear to rotate counterclockwise for trichromats. 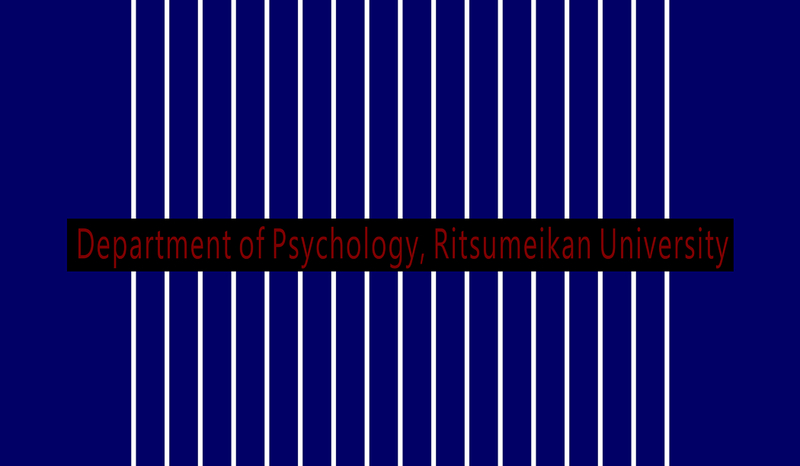 This image was exhibited in a poster session in the 43rd Annual Meeting of the Color Science Association of Japan held in Kyoto University on 26th May, 2012. If you have some comments, please email me. 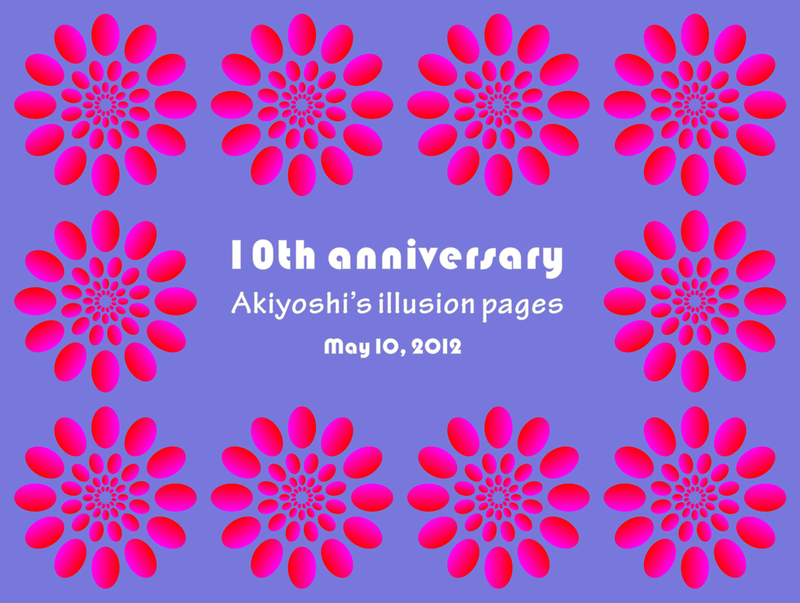 "10th annivesary of Akiyoshi's Illusion Pages"
"10th annivesary of Akiyoshi's Illusion Pages 2"
Cherries appear to move. 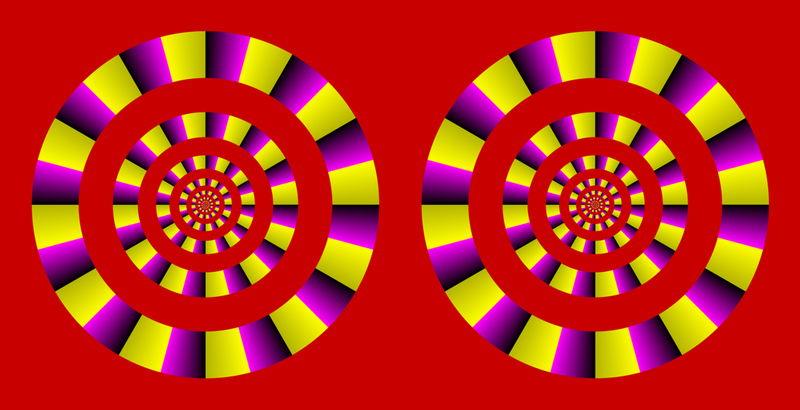 When observers approach or move away from the image fixing their eyes on the center, two rings appear to rotate in the direction opposite to each other. 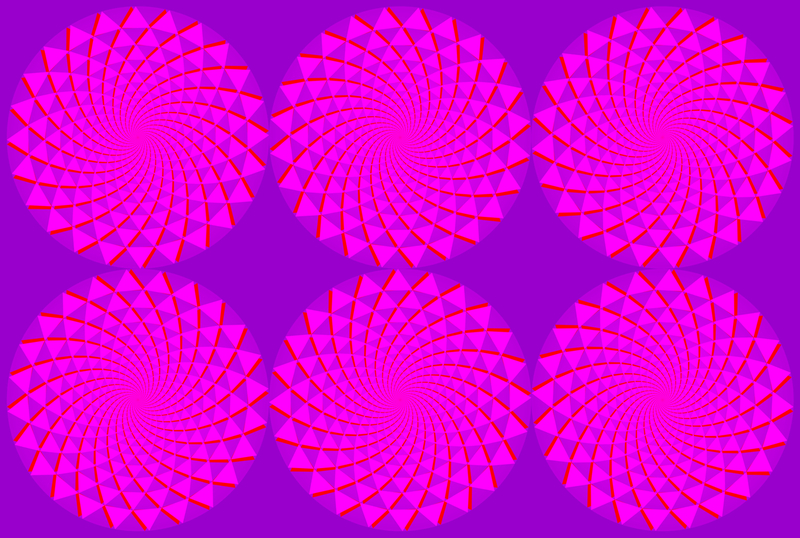 When observers see the center, stripes appear to be tinted bluish. Which of xyz is the intermediate point between A and B? The answer is x, not y or z. 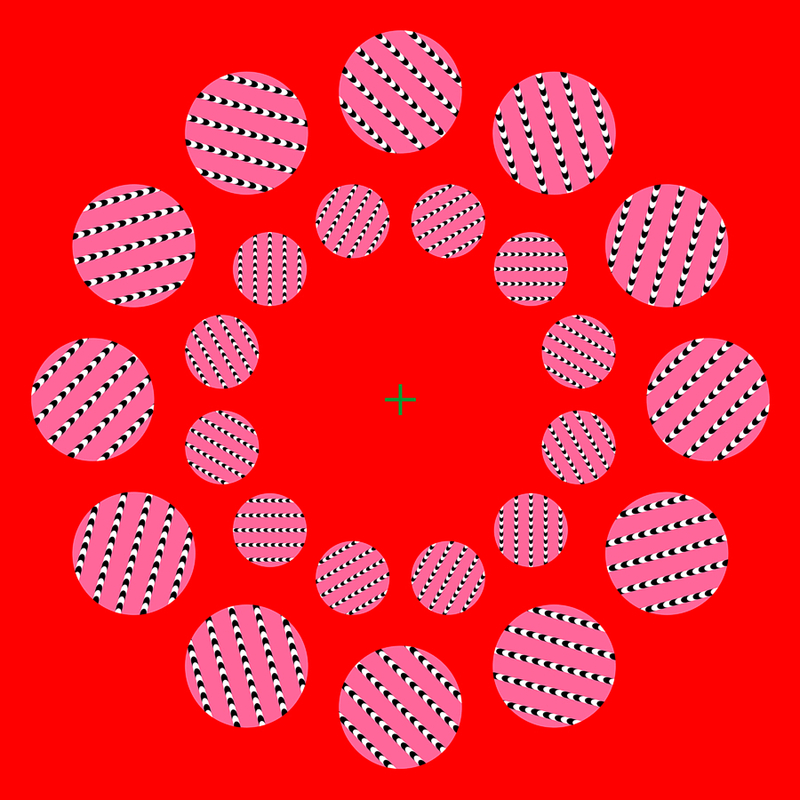 The red dots are placed with the same distance. Where is the median line between the upper and lower sides? 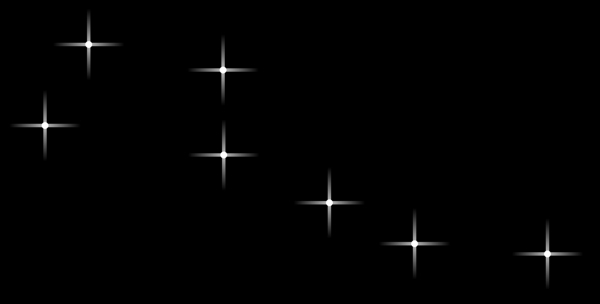 The median appears to be slightly upper than the second line from the lower side, but it is actually lower than it. 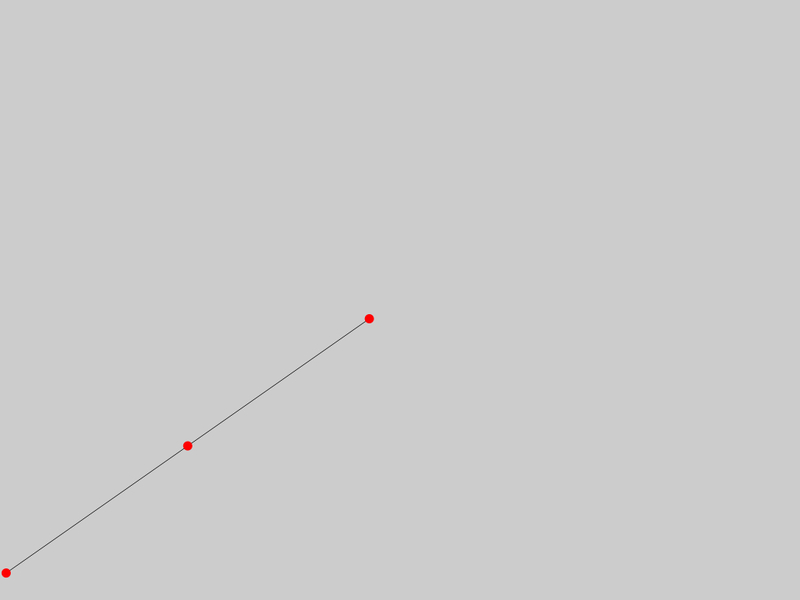 Put the cursor on the image, then the median line is shown with a red line. 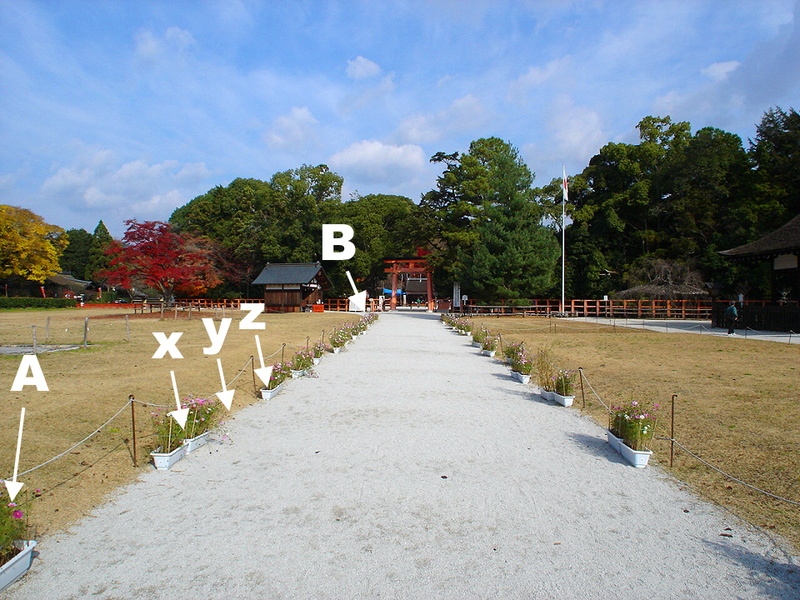 The uppermost line of the left wall is aligned with the lowermost line of the right wall, but the former appears to be placed upper than the latter. 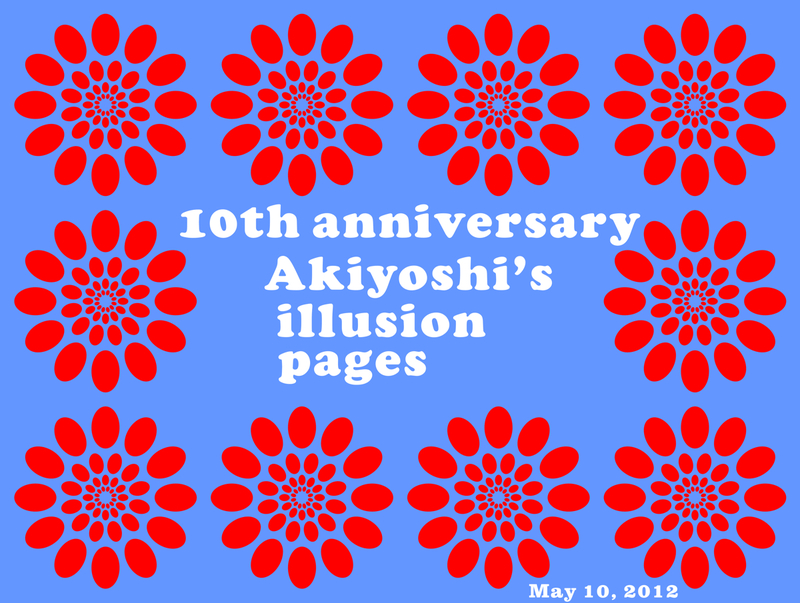 In the same way, the 2nd-5th lines from the uppermost one of the right wall are aligned with the 2nd-5th lines from the lowermost lone of the left wall, respectively, but the former appear to be placed upper than the latter. 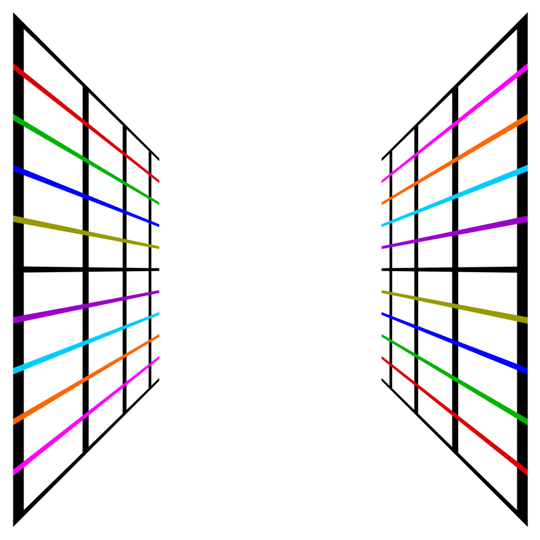 The uppermost line of the right wall is aligned with the lowermost line of the left wall, but the former appears to be placed upper than the latter. 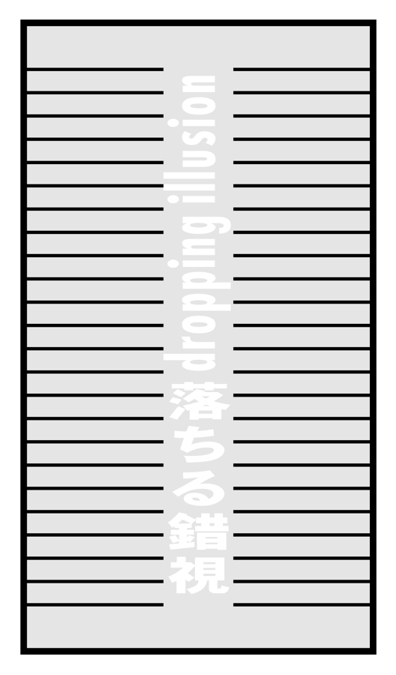 In the same way, the 2nd-5th lines from the uppermost one of the left wall are aligned with the 2nd-5th lines from the lowermost lone of the right wall, respectively, but the former appear to be placed upper than the latter. Words appear to quiver laterally.